Let’s take a look at the 2018 iPhone rumours to see how the phones might stack up against the recent Android flagships, and what it means for Android going forward. The two X models could potentially have OLED screens and stainless steel bodies, while the less expensive 2018 iPhone would have an LCD screen and an aluminium housing. All are expected to look similar to the iPhone X, meaning notches across the board. 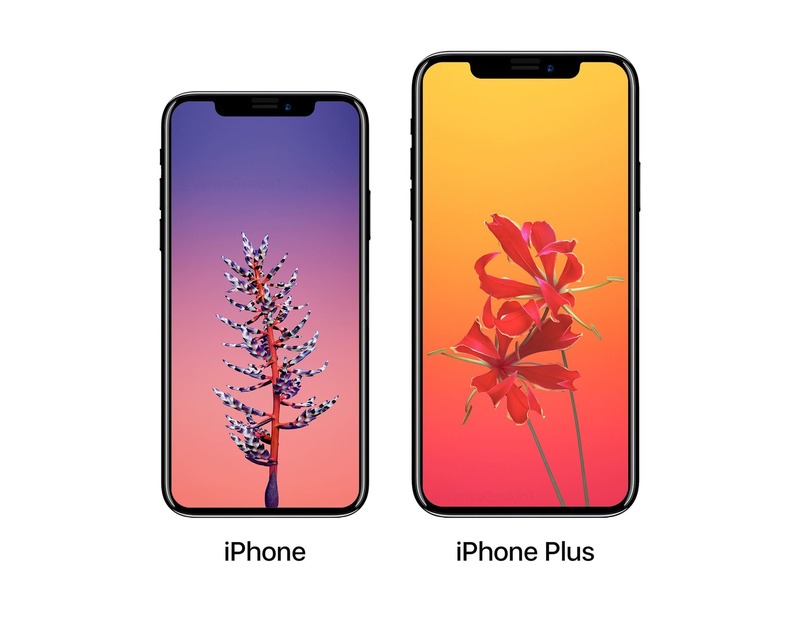 The iPhone XS and XS Plus models will likely be as expensive as the regular, premium iPhones, which could mean up to £1,000 or more for the Plus model (the Galaxy Note 9, one of its main competitors, just launched £899). The iPhone 9, however, with its LCD display and single camera, is currently tipped to be among the cheapest iPhones ever at around £600-£800. Android has long since been a place for those wanting a less-expensive alternative to the iPhone, so general consumers in the West might see a new Apple iPhone at £700 as a fine deal on paper. Huawei introduced the triple camera setup earlier this year with its P20 Pro. Whether three camera devices are a must-have for smartphone users depends on how into photography they are. However, the Huawei P20 Pro reportedly sold well. We suspect the same would be said of the most premium iPhone should it carry three cameras. It would also give it an edge over most Android phones of the moment, including the upcoming Google Pixel 3, which by all accounts will include only dual rear cameras. Last year, the iPhone X introduced Animoji — animated emoji which replicated user actions and expressions in emoji form. This utilised the iPhone X’s front-facing camera to do so, and this year, it’s getting an upgrade. We don’t know yet if Apple will offer anything new with its notch design in 2018, but all signs point to it showing up again at least. Current rumours suggest it will have much the same design as before. We’ll learn more on launch day. Until then, what are your thoughts on the next iPhones? Where will they stand against the current Android flagships? Tell us what you think in the comments.